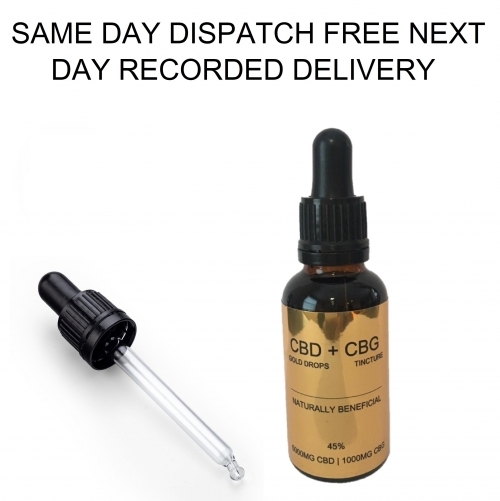 CBD Gold Drops - Shop our range of CBD oil for sale - All CBD Gold Drops products contain legal cannabinoids - Fantastic prices on high quality CBD oils.CBD GOLD DROPS hemp oil started in 2015 as a small company selling to locals in our local village of Durham, North of England, we now sell our products across the globe. One thing we have learned on our journey is that the CBD market can be confusing and overwhelming to the average consumer due to the extraordinarily large amount of products on the market. That is why we chose to keep our CBD hemp oil (cannabis oil) range limited to a handful of high quality products which contain a combination of cannabinoids with a focus on higher levels of CBD and CBG that serve their purpose in supporting the body's endocannabinoid system. Our (cannabis oil) CBD + CBG infused hemp oil works naturally to keep the body in a balanced state of homeostasis.